Two days ago, Nintendo’s annual shareholder meeting took place, and one of the things announced was – an announcement yet to be made. 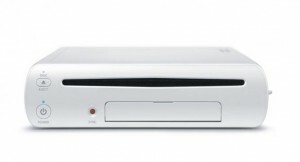 According to Satoru Iwata, the Japanese Wii U plans will be unveiled this fall. Furthermore, Iwata stated that while he doesn’t reject paid online services, the Wii U will have free services. This measure is supposed to lead to more hardware and software sales. I’m confused then. Is this confirmation that the Wii U will have a proper and free online service? It’s confirmed that Miiverse at the very least will be free. There is an extremely strong possibility that you can play online games for free… no charge. Made possible by the Nintendo Network. There should be more details than that. hopefully we’ll hear something soon, One thing is for sure, The Nintendo Network Launches Along Side The Wii U.
Hopefully In September 2012 We’ll Know Then When The Nintendo Network And Wii U Will Launch, Nintendo Is Holding A Press Conference In September. I never even considered whether Nintendo would make their online service free or not. I’ve always just kinda assumed it would be. I mean, it’s Nintendo. A subscription-based service for Wii U is just not their style. They might allow others to charge for special online features (esp. if we should see the likes of MMOs on Wii U), but I’ve always felt safe in assuming that the Wii U’s online service with Nintendo would be free. To add, I think they’re inclusion of the NFC feature on the Wii U GamePad says something of their plans. I bet you anything that they’ll keep their online services for free and try to encourage other developers to keep their services free, all so that they can start taking great advantage of the market of NFC-based microtransactions (useful for free-to-play MMO games) and Steam-like digital downloads of full games instead. They DID after all say that the Wii U will have its own App Store-like service (if I’m remembering that correctly). I think there’s a reason why they’ve said that they’re going to have a high standard on the way that downloadable content gets used. Oh, and let’s not forget those subscription-based services like Hulu and Netflix coming to Wii U. Nintendo’s likely getting some kind of minimal cut of every non-gaming service rental and purchase made through the Wii U. Yeah, I think they’ll keep their online service free because they have so much to gain from doing just that. Indeed i agree with Brian, Nintendo are just like that when it comes to these sort of things, i’m glad they haven’t lost that, i mean sure Sony has a free one also but from what we have seen so far Miiverse is very extensive to the point of being equal to or even better than xbox live in terms of most of the functions, with all the other normal online features most likely to come and they still aren’t charging a fee, that would be awesome, i wouldn’t even mind if they used advertising after all xbox live uses it and still has a sub.